Neutrocork® Prime is the latest evolution of the Neutrocork® stopper. Neutrocork® insures a perfect performance for short / medium rotation wines (36 -48 months). This new generation technical stopper exploits a patented steam sanitation system named R.O.S.A. 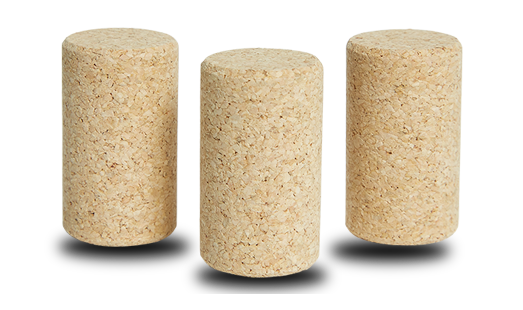 High Tech®, born from the evolution of the previous R.O.S.A.® system, that ensures a deeper treatment into the cork’s cellular structure, removing the undesirable volatile compounds, while maintaining unchanged the natural characteristics of cork. Each Neutrocork® Prime stopper is 100% GUARANTEED to be free of TCA (*below the limit of quantification on each individual cork). Although composed of microgranules of natural cork, it does not contain any expanding cells or plastic substances. This allows Neutrocork® Prime to pass the most rigorous quality tests. It has a high structural stability and an elevated physical / mechanical performance, resulting from its composition of proprietary blended and treated microgranulated cork created through individual molding. *Limit of quantification = 0.5 ng/l (according to the test method prescribed in ISO standard 20752 dated 2/1/2007).